Shin Megami Tensei: Strange Journey Redux will launch for 3DS on May 15 in the Americas and May 18 in Europe, publisher Atlus announced. The turn-based RPG, an updated version of the 2009-released Shin Megami Tensei: Strange Journey for DS, first launched for 3DS on October 26, 2017 in Japan. A spatial distortion full of demons appeared in Antarctica, threatening to engulf the Earth in Shin Megami Tensei: Strange Journey. The United Nations responded by tasking a team of highly advanced specialists with piercing the anomaly and figuring out how to stop it from the source. Well, get ready to don your Demonica once again in this new expanded port: Shin Megami Tensei: Strange Journey Redux. Expect new story content, additional endings, a new dungeon to explore, and more in the return of this sci-fi tinged Shin Megami Tensei adventure. • A Stranger Journey Back – In Strange Journey Redux, you play as a brave United Nations soldier investigating a spatial anomaly called the Schwarzwelt–a dome of dark energy that threatens to consume the world. Inside, you’ll find it home to a nightmare mirror of our own Earth, populated with demons dying to meet you. The game touts brand-new illustrations by Masayuki Doi, updated visuals, UI tweaks, and more to make this journey back into the Schwarzwelt… even stranger. • Additional Story Content and a Brand-new Character – You won’t be retreading the same nightmarish path as before because a brand-new character named Alex will play a major role in how the story unfolds. Much about her is a mystery, but there is one thing you know for sure: she’s got a bone to pick with you. 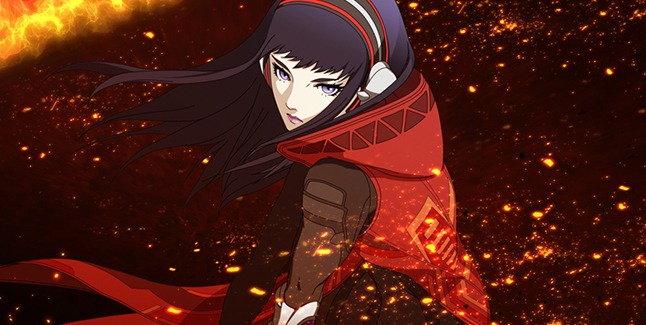 Joining her are new demons you might recognize from other Shin Megami Tensei entries, new endings, and a new dungeon to die in–I mean, discover. • A True Shin Megami Tensei Adventure – With its twisted demonic sci-fi story, addictive demon-collecting fun, and multiple narrative paths to explore, Strange Journey Redux is an essential Atlus JRPG adventure that can’t be missed!